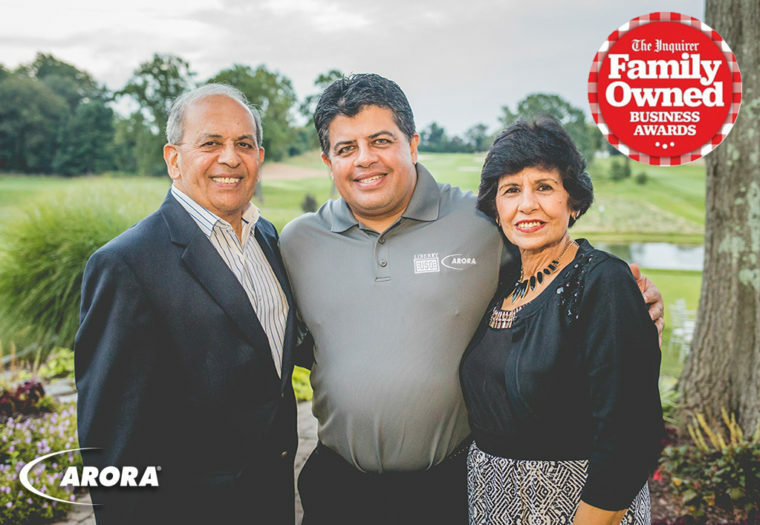 Arora is Named The Inquirer's Multi-Generational Family Business of the Year 2018 - Arora Engineers, Inc. 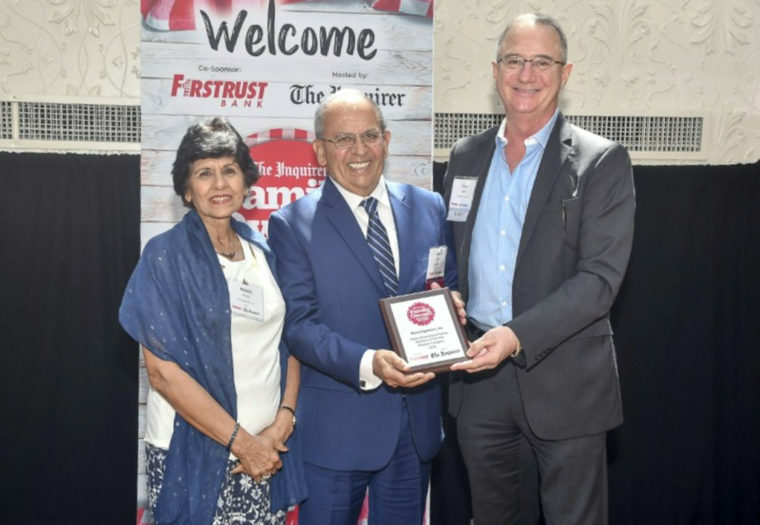 The Philadelphia Inquirer’s Family-Owned Business Awards seeks to honor the Philadelphia region’s most outstanding and dedicated family-owned businesses across a wide variety of industries. Arora was honored to receive this year’s Multi-Generational Family Business of the Year Award for medium-sized companies! In our ever-evolving world of fast-paced growth and innovation, the Inquirer seeks to highlight those companies that were built on, and continue to honor, family values and tradition, as well as build up our local economy and surrounding communities. Honorees were assessed based on their growth, innovation, community involvement, and overall business impact. The winners were featured in the business section of the Sunday Inquirer on August 19th, as well as honored at a wonderful awards ceremony at the Moshulu on Thursday, August 23rd. The event included socializing on the top deck of the ship, on a beautiful day with gorgeous views of the Delaware River, and an interesting panel discussing the challenges and the triumphs of owning a family business. Panelist Tim Flynn, President of Allied Wire and Cable, acknowledged, “Owning your own family business is a lot of sacrifice. But if you’re willing to put in the time and hard effort, great things can happen.” Congratulations to all the honorees!